NEW DELHI- The political fight over DDCA affairs intensified on Sunday with the capital’s AAP government announcing a Commission of Inquiry to go into alleged irregularities there and Union Finance Minister Arun Jaitley deciding to sue Delhi Chief Minister Arvind Kejriwal by slapping civil and criminal cases against him and five other AAP leaders in Delhi courts on Monday in his personal capacity. 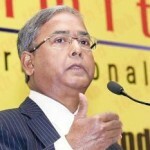 The Delhi Government announced setting up of the inquiry commission under chairmanship of former Solicitor General Gopal Subramanium to probe alleged irregularities including financial bunglings in the capital’s cricket body, the Delhi and District Cricket Association. The decision came amid AAP’s fierce attack on Jaitley over alleged irregularities in DDCA during his 13-year-old tenure as its chief till 2013. Jaitley has strongly rubbished the allegations. Jaitley has chosen not to give any legal notice to Kejriwal and other AAP leaders asking them to apologise or face defamation cases. Instead, the cases will be filed straightaway in the courts. 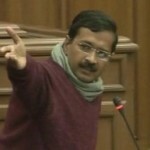 Upping the ante against Jaitley, AAP pressed for his immediate removal from the Union Cabinet. Addressing media at Kejriwal’s official residence soon after BJP MP Kirti Azad’s press conference regarding alleged corruption in DDCA, AAP leaders said “DDCA scam” was “Commonwealth (scam) of cricket.” “Now the onus is on Prime Minister Modi whether he will accept such a person in his Cabinet,” Kumar Vishwas said. Another AAP leader Deepak Bajpai said, “We are not going to be bogged down by such intimadatory tactics. We are privy of Arun Jaitley’s history. Moreover after today’s expose, whole country has come to know about the truth and we are committed to fight against corruption whatever it takes.” Another leader Ashutosh said,”Jaitley don’t threaten us with defamation. Answer the questions we had asked? You will take us to court, we will take you to people’s court. 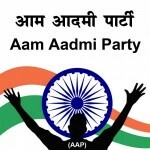 Following a CBI raid in Delhi Secretariat in connection with charges against the Delhi CM’s Principal Secretary Rajendra Kumar, AAP has been claiming that the Central agency’s action was aimed at targeting the AAP chief and it was looking for a file relating to graft in DDCA. The decision to appoint the commission came a month after an AAP government-appointed probe committee recommended immediate suspension of DDCA by the BCCI for alleged irregularities. The Delhi Government panel had suggested that an interim committee of professional cricketers should manage affairs of the game in the capital. The committee had also recommended to the government to appoint a Commission of Inquiry under the Commission of Enquiries Act while mentioning about findings on DDCA’s alleged wrongdoings by various probe panels in the recent past including the Serious Fraud Investigation Office (SFIO). BJP MP Kirti Azad, who has been campaigning against alleged corruption in Delhi’s cricket body, today demanded an ED and DRI probe into the affairs of DDCA. Jaitley has strongly rejected the allegations calling them a propaganda technique of Kejriwal to deflect attention when he himself was in the “dock” following a CBI raid in Delhi Secretariat. Kirti Azad, who has been campaigning against alleged corruption in Delhi’s cricket body, today addressed a press conference here but did not take the name of Jaitley, under whose charge as president of DDCA he claimed there were financial bungling.